As a hashtag island girl, it pains me to admit this but I’ve been longing for the cooler fall days recently. Summer is epic and it’s definitely my favourite season but Jah this heat is killing me. So, in a move that may seem counter-intuitive to you but makes perfect sense to me, I turned on my oven this week and whipped up a batch of these vegan spiced spelt flour cookies. 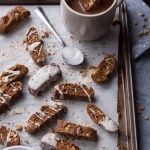 Random confession: I’ve been meaning to share this recipe with you since last November when I was on my gingerbread craze. But I kept putting it off and before I knew it gingerbread season was over, the molasses was back in the pantry and I’d moved on to holiday DIYs. 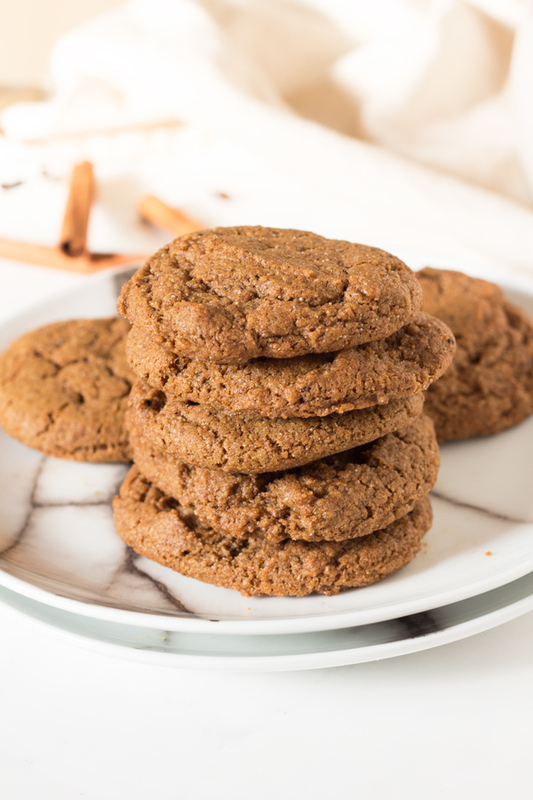 Who’d have thought that I’d end up sharing these vegan spiced cookies with you in the middle of summer instead? Hashtag logic. 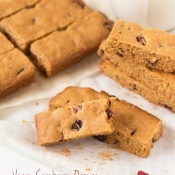 The original recipe had the same spelt flour base, but included cocoa powder and cranberries as well. So who knows, a cranberry chocolate variation of these spiced spelt flour cookies may pop up again when it’s actually fall. But for now, we’ll have to make do with this basic – but yummy AF – version. 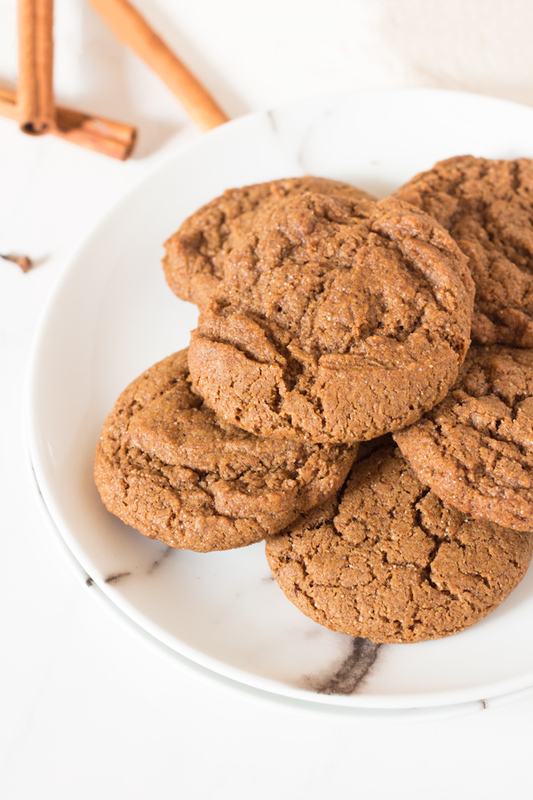 Unlike traditional spiced cookies, ginger is not the major attraction in these spiced spelt flour cookies. In fact, these don’t even have any ginger in them. I may be craving the fall temps but I’m so not ready for actual gingerbread cookies yet. Instead, these spelt flour cookies are subtly spiced with cinnamon, allspice, nutmeg and clove. Spoiler alert: I also didn’t think the ginger would work with the ice cream I plan to stuff between the cookies. 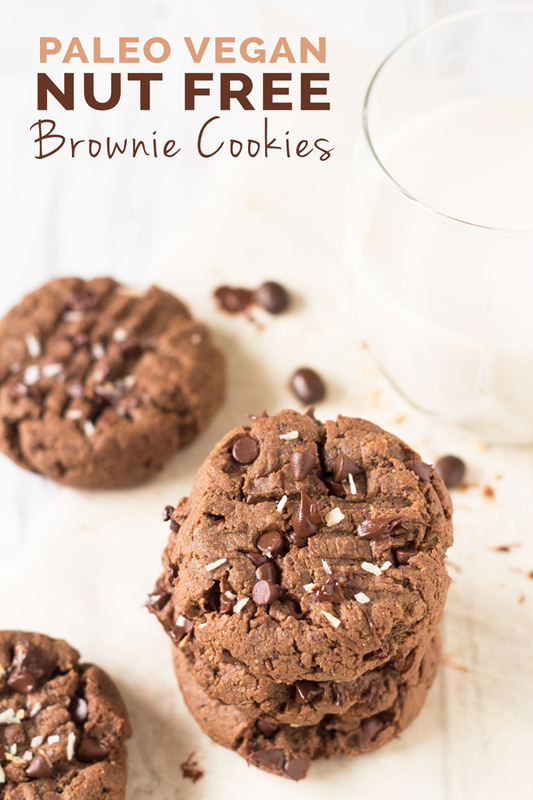 These cookies also get bonus points cuz they’re easy to make, only call for about 7 ingredients (plus the spices spices) and can be ready in about 20 minutes. The most obscure ingredient on the list would probably be spelt flour but you should be able to find it in the healthy foods section of most stores. 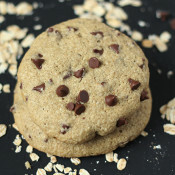 And if everything goes according to plan you’ll have vegan spiced spelt flour cookies that are soft, chewy and perfectly sweet but not overpoweringly so. p.s. 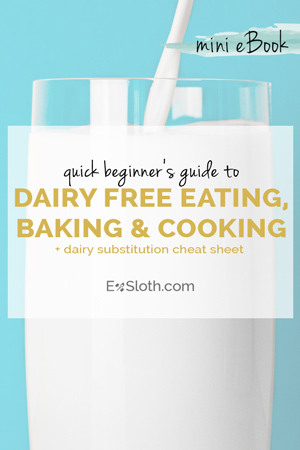 If you can’t find the spelt, try using this post to do some reverse flour substitution. 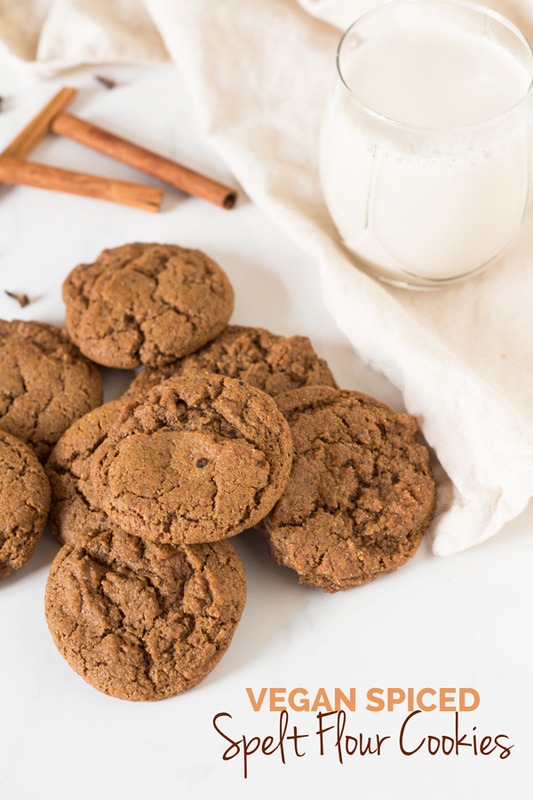 If you make these spiced spelt flour cookies, I’d love to hear what you think. Leave a comment and rate the recipe or take a pic and tag me @ExSloth on Instagram. 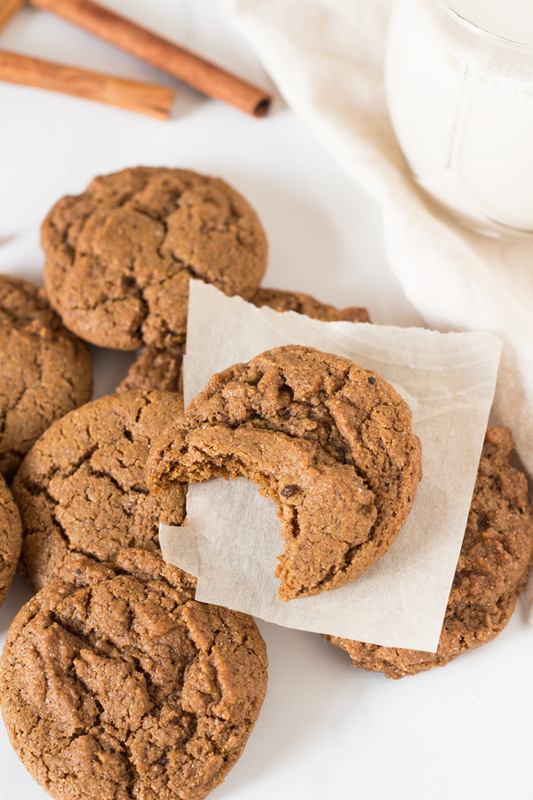 These easy-to-make vegan spiced spelt flour cookies are soft, chewy and perfectly sweet. 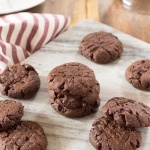 Have you ever made spelt flour cookies? And spiced holidayish cookies are good ANYtime! Delicious recipe! Thanks for sharing. The ingredient list doesn’t reference an egg, but the instructions do so eye added one. Right?